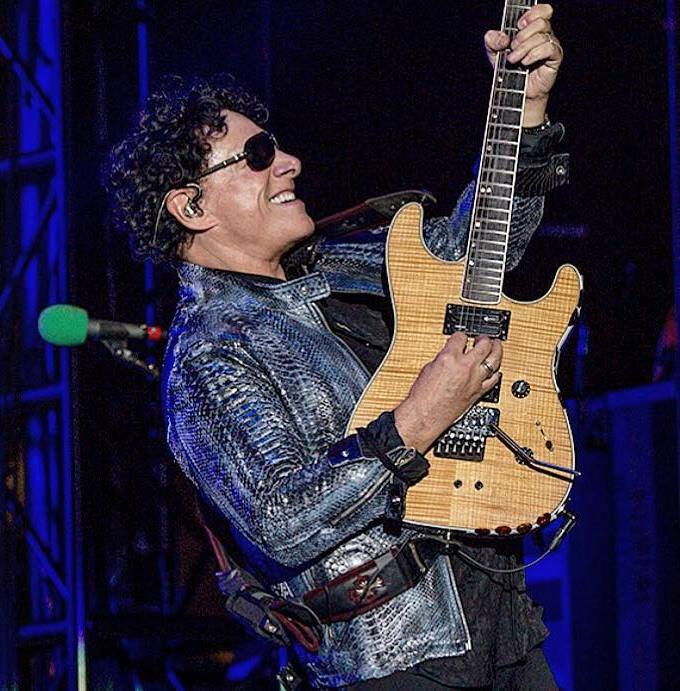 Journey guitarist Neal Schon underwent an emergency gallbladder removal surgery over the weekend, and the rocker shared the news via his social media sites. In a follow-up post, the rocker thanked the team at the Marin General Hospital in Greenbrae, CA for their efforts. "I'd like to thank Dr. Minnis for doing such an amazing job and all Marin General Hospital for being incredibly kind,” he added. “Ros- Keith & my beautiful wife Michaele for always continually being by my side and showing me what love really is." Following a warm-up gig at the Jackson Rancheria Casino in Jackson, CA on February 22 and the trek’s official opening night at the Fox Theater in Oakland, CA on February 23, the lineup will play a March 1 show at The Van Buren in Phoenix, AZ and a March 2 date at The Orpheum in Los Angeles, CA.